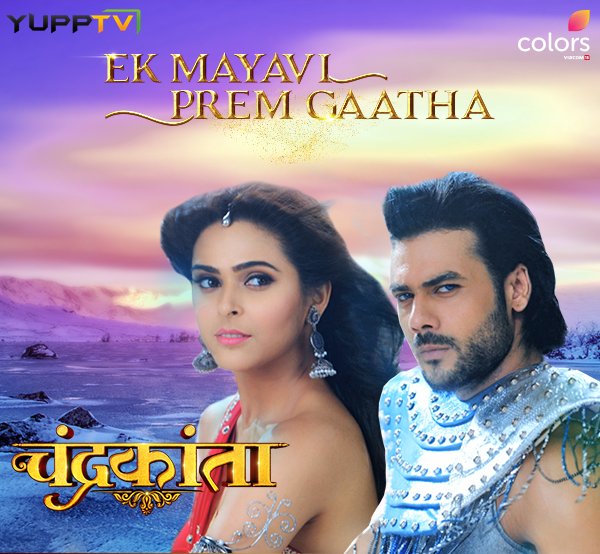 Chandrakanta is one of the most beautifully crafted fantasy Hindi TV shows about the eternal love between the Prince of Naugarh and the Princess of Vijaygarh, amidst the bitter strife between their kingdoms. This was one of the most popular serial that was aired on the DD National Network from 1994-1996, and is now being remade and aired in Colors TV Live, in a grand way. As a result of the battle waged by Iravati, the power hungry evil queen of Naugarh, Chandrakanta is driven out of her kingdom. She ends up under the care of a loving and childless Aiyaar couple in Suryagarh.Unaware of her past and the magical powers she possessed, she grew up with the minimal memory of the utter chaos her childhood had been, and turned out to be a brilliantly skilled, respected as well as a beautiful Aiyaar warrior. Decades go by, and the world still believes Vijaygarh to be heir less. Chandrakanta soon comes across the prince of Naugarh, Veerendra Singh. He not only starts feeling competitive towards her as a result of being outwitted as well as outs killed by her in the fields of being a warrior, he gradually even starts getting attracted towards her immense beauty and nature. Meanwhile Krur Singh, who is a member of the king's court in the kingdom of Vijaygarh, has a deep desire of taking over the thrones by marrying Chandrakanta. His ploys of achieving this desire is marred however. As a result, he befriends Shivdutt, a powerful king of the kingdom of Chunargarh, whom he convinces to capture Chandrakanta by any means necessary. Shivdutt manages to ensnare Chandrakanta but is defeated by Veerendra Singh and the Aiyyars. Unfortunately, while Chandrakanta and Veer Singh begin falling for each other, she is completely oblivious of the fact that it was Veerendra Singh's mother who was the real reason behind the rough childhood Chandrakanta had, and also the fact that it was Veer Singh who was initially sent to kill her. What will happen once Chandrakanta comes to know of this disturbing truth? Will the thirst for revenge be greater than the love the two share? Will their love survive in this harsh world? Watch Chandrakanta every weekends on Colors TV Live and mesmerize with the magic world.